Saturday Rob and I laid down the law and told the girls it was “family day”, and we were going out adventuring. Two of them grumped and groaned, wanting to stay inside where it was warm. 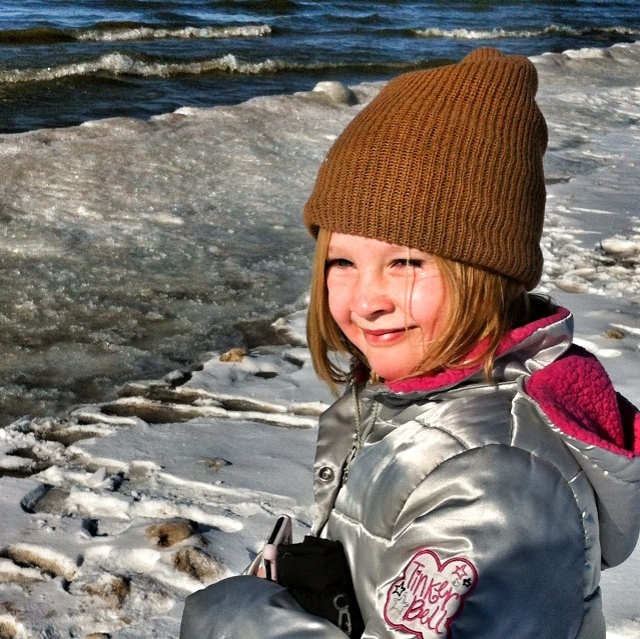 Since the sun was shining, we decided to brave the cold anyway and head to Silver Beach in St. Joseph, Michigan. The second we got there, everyone was completely glad we decided to do it. 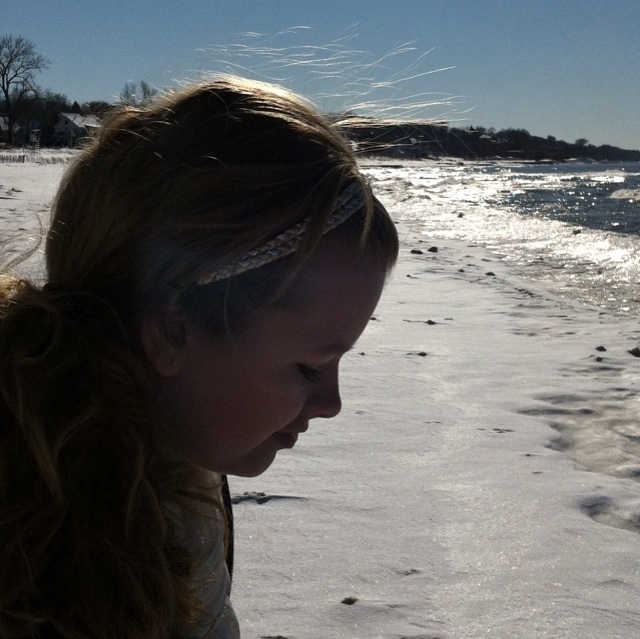 The waves were so beautiful and the ice and snow were so brilliant. 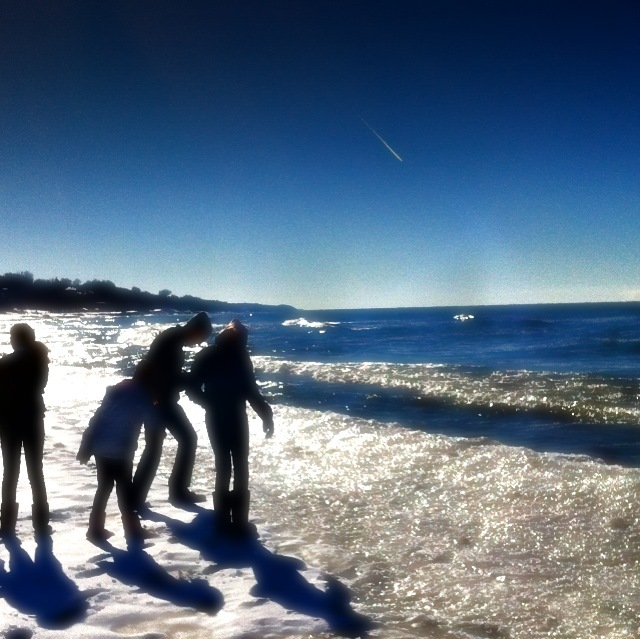 My foot and knee went in the icy cold water at one point due to deceptively solid sand-ice. I felt like Bear Grylis in Man Vs. Wild. All my training from watching his show kicked into gear…which pretty much meant I went back to the van to warm up my poor soaking wet, icy cold foot. While I was warming up, Belle fell for the old “sandy ice” trick and her fuzzy pink boot went in. The older girls had to rescue her boot while Rob returned her to the van with his glove on her bare foot. We laughed and laughed, and had a great time together. We all got some fabulous pictures. Then we got some ice cream…because we weren’t cold enough already. Sometimes venturing out and doing something like this is all it takes to remember why we really love to be together, and what makes us family. Indeed, a family that freezes together laughs together. I was afraid this post was going to be about your furnace going out again. So glad it wasn’t!